I grew up in Oregon. A career opportunity beat on my door in late 1983. The knock on the other side of that door came from a former boss of mine, Ben Hansen, who had gone on to become executive editor of the Beaumont Enterprise in the Golden Triangle region of Texas. 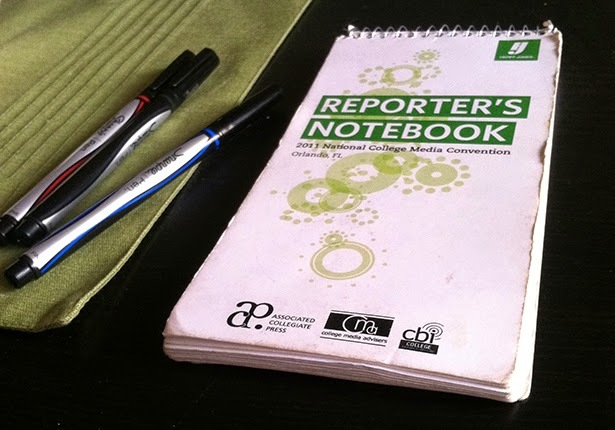 I had been a full-time journalist for about seven years when Hansen called with an offer for me to come to Texas to interview for a job as an editorial writer for the Enterprise. He told me over the phone that Beaumont was a fabulous “news town,” that there was much happening there and that as editorial writer, I would be perched in the “catbird seat” from which I could comment on the issues of the day. Hansen hired me and I started working there in April 1984. Ben Hansen was so very correct about Beaumont, about the liveliness of the news there. My culture shock was fairly profound as I packed up from the community I knew well, Portland, and headed for a whole new environment. Beaumont was a world away from what I knew. Adding to the stress of that change was the absence of my wife and my still-young sons; they stayed behind while my wife sought to sell our house. They joined me later that summer, just in time for the start of the school year. However, a couple of things happened to relieve me of the stress of being without my family. One was the amazing pace of news that unfolded that spring. Beaumont is a racially diverse community, roughly 50 percent white and 50 percent black. The first month of my employment at the Enterprise featured an election that resulted in the election of an African-American majority on a newly reconstituted Beaumont Independent School District board of trustees. Also on the ballot was a referendum to rename a major Beaumont thoroughfare after the Rev. Martin Luther King Jr. The street renaming effort failed narrowly. The new BISD school board took office amid a palpable sense of tension in the community. Beaumont was late in the school integration game. A federal judge ordered the merger of the Beaumont and South Park school districts; the “old” BISD was mostly black, while the South Park district was mostly white. Tension anyone? They had it! Ben Hansen’s description of Beaumont was spot on. I was thrilled to be part of it, to watch it up close and to be able to offer some commentary that sought to lead the community through its travails. The second aspect that lessened the impact of missing my wife and sons was the amazing embrace I received from my colleagues at the Enterprise. They knew of my circumstance. They went out of their way to include me in their after-hours fellowship. The friendships I developed among many of those individuals are among the most solid I have forged with anyone I’ve ever met over my many years on this Earth. My love for them is deep and is indelible. We all shared a love of our craft and we would laugh and occasionally argue over what that day had brought. Man, it was more fun sitting in the catbird seat than I ever deserved. There once was a time when rookie members of Congress languished in the shadows. They weren’t to be taken seriously by their colleagues. They weren’t to be held up for praise by their friends or condemnation by their critics. They needed to learn the location of the restrooms on Capitol Hill. Then they could be taken seriously, or so it used to go. Then came social media. Rookie members of Congress are able to become immediate superstars. One of them has rocketed to the top of the public relations totem pole. Her name is Alexandria Ocasio-Cortez, a newly minted Democrat from New York City. 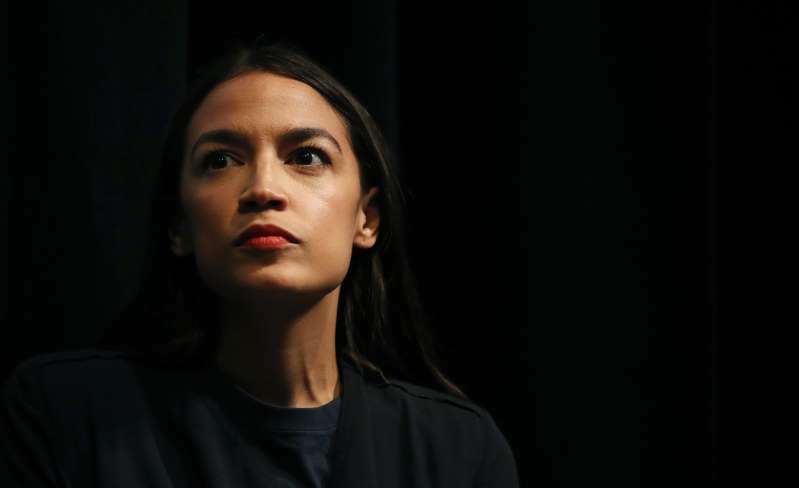 She is so famous, in fact, that she now is being referred to as “AOC.” Yep, she’s up there with JFK, RFK, MLK, LBJ, FDR. 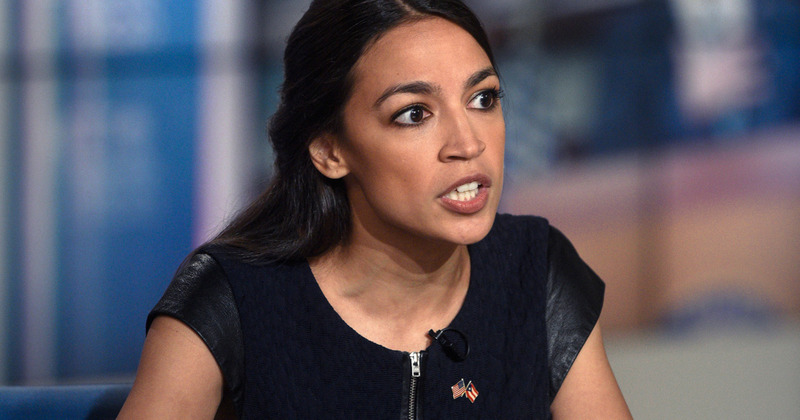 This young woman, all of 29 years of age, has held public office for less than one whole month. Here she is. She is the talk of D.C. She is in huge demand on TV and radio talk shows. She is a self-proclaimed socialist. She wants to tax the wealthy, redistribute wealth around the country; she favors Medicare for All and single-payer health insurance. Why do you suppose she commands all the attention? Forgive me for mentioning this, but AOC is, shall we say, quite “telegenic,” which is a politically correct way of alluding to her physical attractiveness. Yes, she is well-educated and speaks well, too. I am inclined — given my own political leaning — to listen to what she has to say. However, I am in serious head-scratching mode about AOC. How in the name of political seniority does a rookie member of Congress such as this one command everyone’s attention? She has angered not just Republicans but also “establishment” Democrats. House Speaker Nancy Pelosi is thought to be miffed that she occasionally challenges the elders within the Democratic Party. Her faces shows up as a social media meme. I get these posts on my Facebook news feed from conservative friends who delight in ridiculing her occasional misstatements. She is one of 435 members of the House of Representatives. I don’t believe she represents a serious threat to establishment politicians of both parties . . . at least not yet. She needs some serious seasoning. AOC needs to get a firmer grasp on how the system works on Capitol Hill. I am just puzzled at how this young politician has thrust herself onto the center of a large and crowded political stage. Why stay mum on shooters’ names? I declared my intention recently to no longer identify mass shooters by name when referring to these tragic events in this blog. A reader of High Plains Blogger than wondered: Why refer to people such as Sirhan Sirhan, James Earl Ray and Lee Harvey Oswald by name? Fair question. I’ll take a stab at answering it. First of all, these men all killed notable public figures and officials. Sirhan murdered Sen. Robert F. Kennedy, Ray gunned down the Rev. Martin Luther King Jr., and Oswald assassinated President John F. Kennedy. Of the three of these shooters, only Sirhan is alive; he is serving a life term in a California prison. Their names were thrust into the public domain the way, say, John Wilkes Booth’s name has been in that domain since he murdered President Abraham Lincoln in 1865. All these men changed the course of history. Thus, I have felt justified in referencing them by name whenever I felt like commenting on the incidents to which they all are linked forever. These latest string of murderers don’t ascend to that level. They have sought publicity. Thus, I have taken a vow to keep their names off this blog for as long as I am writing it. I even have acted retroactively, back to 1966, when the madman opened fire from atop the University of Texas Tower. I used to refer to him by name; no longer. He now joins the lengthy — and tragically growing — list of lunatics who have sought to make names for themselves through hideous acts of violence. One more point: Even the loons who die, either by their own hand or by law enforcement, in the commission of their heinous deeds will not be ID’d in this blog with their name. That’s my story. I am sticking to it. What would MLK Jr. think? The hour is late on this day of national remembrance. The nation has recognized the 89th birthday of one of the 20th century’s greatest men. Martin Luther King Jr. left a gigantic legacy that reverberates to this very day, this very moment. 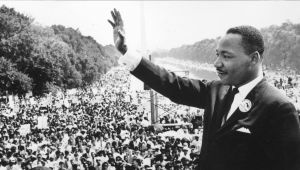 I am left to ponder: What would the great Dr. King think of the national mood today? Others have spoken to this question already. U.S. Rep. John Lewis, one of Dr. King’s key lieutenants back in the day, said he believes MLK would be appalled at the national mood. He wouldn’t approve in any sense of the rhetoric coming from the White House these days. Rep. Lewis believes Dr. King would follow the lead of other contemporary African-American leaders and wouldn’t speak openly to the president of the United States, Donald Trump. I believe differently. Dr. King made a point of speaking of peace with his foes. His non-violent approach to disobedience became a universal mantra for protesting what many Americans believed were injustices being brought on vast segments of our society. I just cannot believe that King would snub those with whom he had significant differences. Of course, we cannot know how history would be different if great leaders such as Martin Luther King Jr. had lived. We play the hand we’re dealt. The hand we got in April 1968 — I cannot quite fathom that it was 50 years ago! — came from a rifle shot in Memphis, Tenn. that felled Dr. King. He died, but his struggle lived on. It lives on to this very day. I want to believe we have made great strides toward achieving the kind of world that Dr. King envisioned. Sadly, I hear rhetoric that comes from certain national leaders and I worry we have regressed. My hope springs eternal. Dr. King’s soaring message still resonates. May it continue to remind us of the hope this American titan sought to imbue on us all. John Lewis reminded us today that Dr. King knew that “we are one family.” To that end, family members shouldn’t turn their back on each other. That is what I hope — and at some level believe — Martin Luther King Jr. would say. WASHINGTON — The atmosphere in the nation’s capital has become overheated, overblown and overstated. It’s not a happy place if you are a politician who wants to do the right thing, but you get caught up in the daily — if not hourly — struggles between the two major political parties. They all ought to come to this place perhaps once a week. They should cast their eyes on the World War II Memorial, which reminds us of just how titanic our struggles can get. I came here with my wife, our niece and her husband. It was hot that day. During our entire walk along The Mall, I managed to put contemporary politics aside. I thought instead of my favorite veteran. I’ve written before about my father, the late Pete Kanelis. He served during this struggle, the one that enveloped the globe from 1939 until 1945. The picture above honors those who served in the European Theater of World War II, as Dad did. He saw combat as a sailor in the Med. Yes, I have heard about critics of this particular memorial, one of the newer exhibits along The Mall. It’s too gaudy, too grand, too big, they say. It really isn’t, at least in my view. It honors a massive military engagement. By the end of the global war, more than 16 million Americans suited up to enter the fight; whether it was at home or abroad, they answered the call and performed magnificently. They were, as the author/journalist Tom Brokaw has written, The Greatest Generation. 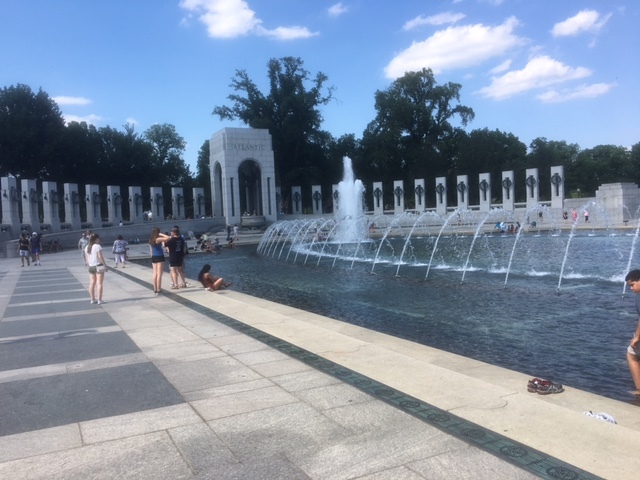 At the other end of the WWII Memorial pool is a section devoted to the Pacific Theater of Operations. There, too, Americans and their allies fought across the vast ocean to take back land conquered by Japan. They endured sacrifice most of only can imagine. My favorite veteran happened to be in The Philippines when President Truman ordered the dropping of the atomic bombs in August 1945. The enemy surrendered. Thus, I remain convinced that the president likely saved Dad’s life. I am eternally grateful for the president. 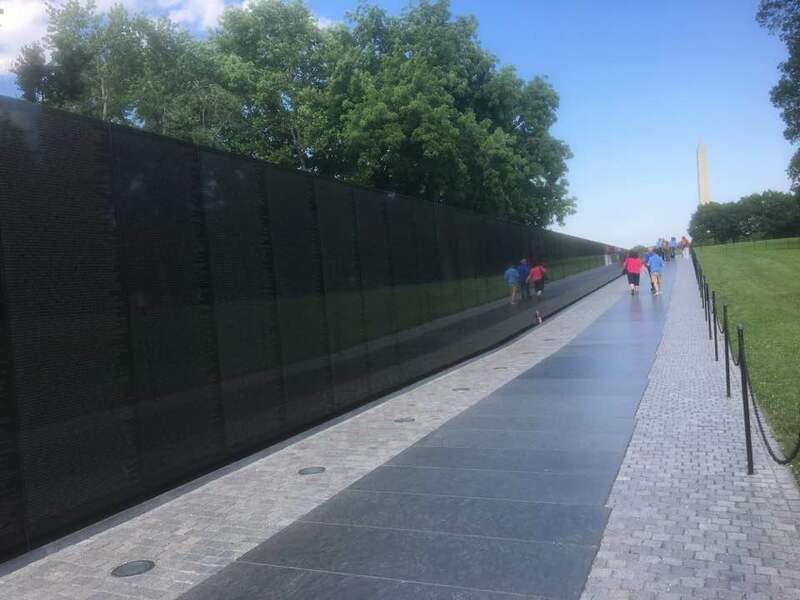 We walked along the Vietnam Veterans Memorial, the Korean War Memorial, the Martin Luther King Jr. Memorial, the Franklin Delano Roosevelt Memorial, the Washington Monument and the Lincoln Memorial. They all reminded us of the nation’s greatness and they allowed me to set aside the ongoing anger and anxiety I am feeling about the present day. Later in the day, we saw Marine One fly overhead on its way back to the White House, carrying the president of the United States back from wherever he had spent the weekend. I had been filled with awe at what we had seen. In that context, seeing the presidential aircraft made me appreciate the struggles that accompanied the building and the development of the world’s greatest nation. Dad would have been proud, too. WASHINGTON — This is the most political city in America, if not the world and politics being what it has become in recent decades, this city is full of a lot of hard feelings and recrimination. You know my own feelings about the current president of the United States. But this blog post isn’t about that — and it damn sure isn’t about him. It’s about the myriad monuments, memorials and assorted structures throughout the city that pay testament to the nation’s greatness. We came to the Vietnam Veterans Memorial. It’s like an outdoor church. Visitors lower their voices. They speak in solemn tones. They look at the 58,000-plus names etched into the stone, seeking to recall memories of the individuals who gave their last full measure. I found a name I had spotted the first time my family and I came here in 1990. He was a young man with whom I served briefly in Vietnam. He was set to go home in a few days, but fate intervened at a landing zone where he and his Huey helicopter unit was ambushed in June 1969 by enemy fighters. 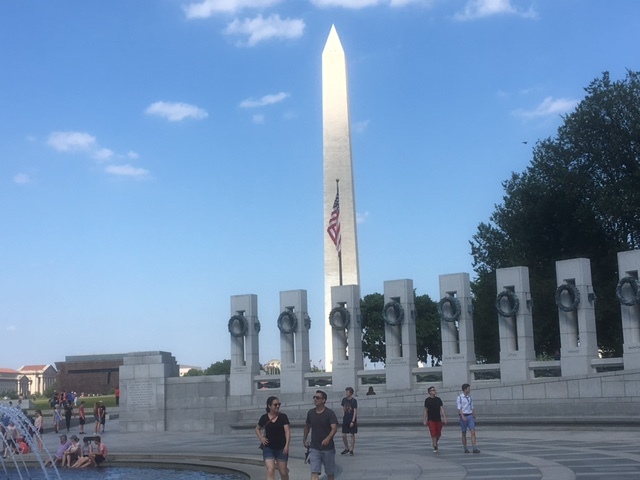 We toured much of the Washington Mall, walked through the World War II, read the inscriptions from the likes of Chester Nimitz, Franklin Delano Roosevelt, Dwight Eisenhower, George C. Marshall that paid tribute to the brave Americans who — along with soldiers from many other nations — saved the world from tyranny. My all-time favorite veteran, my father, was one of the 16 million Americans who answered the call to duty. I thought of Dad while marveling at the grandeur of the WWII memorial. Not far from that is the Korean War Memorial, which pays tribute to the “forgotten war.” It, too, cost tens of thousands of American lives. I prayed for the souls of those who paid the ultimate sacrifice. We cast our eyes on the Washington Monument, the Lincoln Memorial, the Jefferson Memorial and toured the FDR Memorial. For several precious hours while taking all that in, I was able to set aside the events of the moment. I didn’t think a single time about the confusion, controversy and contentiousness of the present day. I thought instead of the great Americans who built the country and created a nation that remains — despite rhetoric to the contrary — the greatest nation in human history. We had to see these things to remind us of who we are. 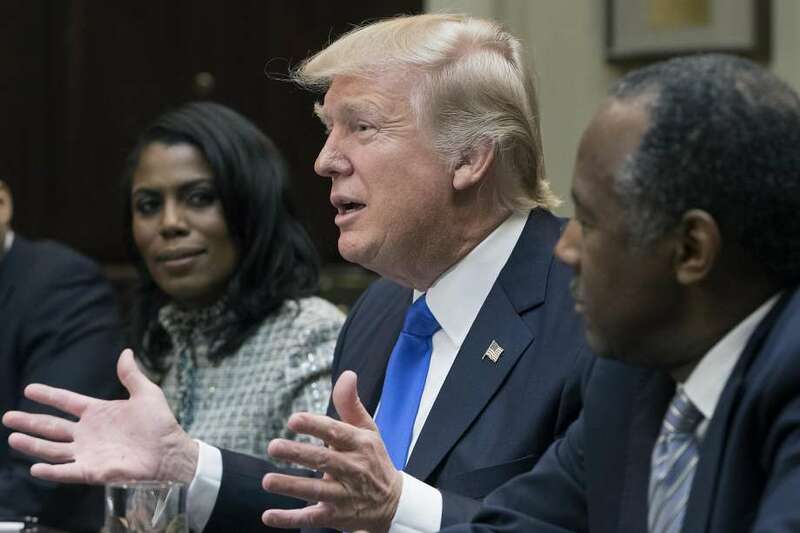 Donald J. Trump opened the White House’s commemoration of Black History Month in a most bizarre manner. Huh? Amazing job? Big impact? Some of those who heard the president refer to Douglass as some “who’s done an amazing job” are wondering if Trump realizes that Douglass died in 1895. When I hear the president refer to these historic figures as if they are contemporaries, I get this uneasy sense that Trump has no idea about whom he is speaking, that he has no clue about the struggle they endured and pain they suffered. Am I the only American who is baffled beyond belief about the president’s seeming utter ignorance of history? What if MLK Jr. had lived? Morris Dees, founder of the Southern Poverty Law Center, has written a tribute to Martin Luther King Jr. in which he declares that the message of peaceful, non-violent civil disobedience is as relevant today as it was when he preached it way back then. On this day when we mark what would have been Dr. King’s 86th birthday, I cannot help but get past this historical tidbit that few — if any — historians ever seem to examine. How in the name of all that is holy did Martin Luther King Jr. summon the poise to stand before the world as he did at such a young age? MLK was 39 years of age when James Earl Ray gunned him down in Memphis on April 4, 1968. Yet, it seemed at the time as if he’d been on the national stage forever. At least that’s my memory. He was 34 when he stood before those hundreds of thousands of spectators on the Washington Mall to deliver the famed “I Have a Dream” speech that energized a generation of young black and white Americans. He would be 36 when he led the march across the Edmund Pettis Bridge at Selma, Ala.
How was this young man able to stand often in church pulpits, make appearances on national TV news-talk shows, speak to mass gatherings of supporters, accepted a Nobel Peace Prize and became one of the leading voices of protests against the Vietnam War — all before he turned 40. Where did he acquire that wisdom? Or was he born with it? He wouldn’t reach that milestone age. There would be no black balloons, gag gifts for his becoming an “old man,” or silly jokes and pranks from his friends and family members. It’s been said of President Kennedy that his life was one of untapped potential, given that he, too, died at a young age. I cannot stop thinking on this day what impact Martin Luther King Jr. might have had on his beloved nation had he been given the chance to reach middle age, let alone grow old. He was just 36 years of age.